Three months ago, when Marvel and Netflix were still in the early stages of casting on Jessica Jones season 2, it emerged that the Powers That Be had cast the net in search of four new recruits to join Krysten Ritter on the streets of Hell’s Kitchen. That foursome included three series regulars, one of which was Ingrid, an attractive, dark-haired nurse who has a history of living on the streets. Ring a bell? If you’re familiar with the source material, you’ll know that said character description aligns with that of Typhoid Mary, a sworn enemy of Daredevil who’s nursing a rare case of dissociative identity disorder. Often referred to as Walker, Bloody Mary, Mutant Zero, or simply Typhoid, her powers are said to range from psionics to telekinesis to pyrokinesis, and it appears Marvel’s quest to find an actress to bring Ingrid to life has come to an end. 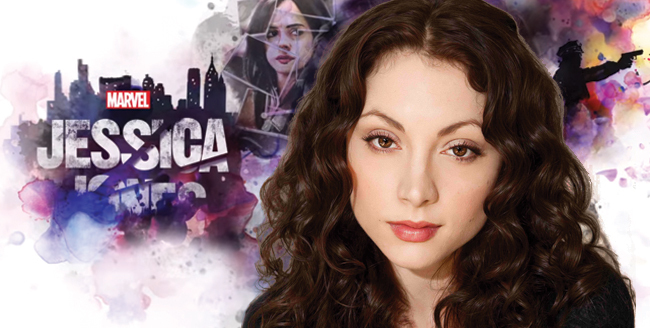 Variety has the scoop, revealing that Leah Gibson (Twilight) has officially climbed aboard Jessica Jones season 2 to assume the role of Ingrid/Typhoid Mary. Bear in mind that Marvel stopped short of disclosing any further character details to lend context to Gibson’s casting, which is likely more to do with the studio’s desire to maintain a sense of secrecy around the second season of Jessica Jones than anything else. One way or another, Leah Gibson is now the second high-profile newcomer to sign on for season 2 after Janet McTeer, after the Golden Globe-winner was cast in a mystery role earlier in the year. Further details on both Gibson and McTeer’s characters will likely be revealed at SDCC next weekend. Krysten Ritter’s unhinged superhero will next be seen in The Defenders – opposite Jon Bernthal’s Punisher, perhaps? – before the second season of Jessica Jones debuts in 2018, when Marvel and Netflix will reportedly serve up new helpings of Luke Cage and Daredevil, too.